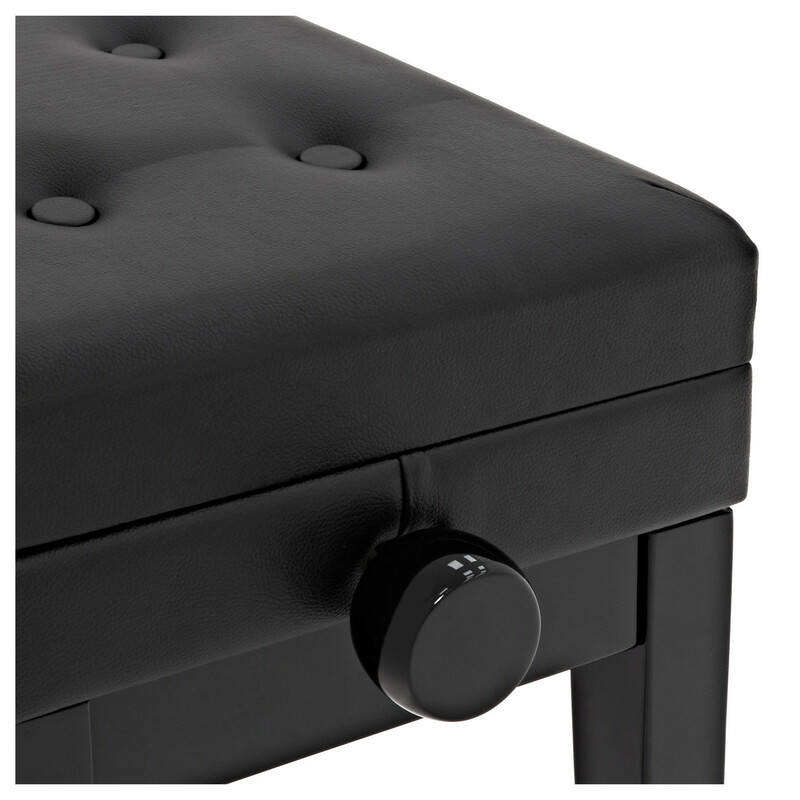 The Deluxe Piano Stool with Storage by Gear4music is a simply designed, comfortable and stylish height adjustable piano stool with under seat storage, perfect for holding sheet music or accessories. 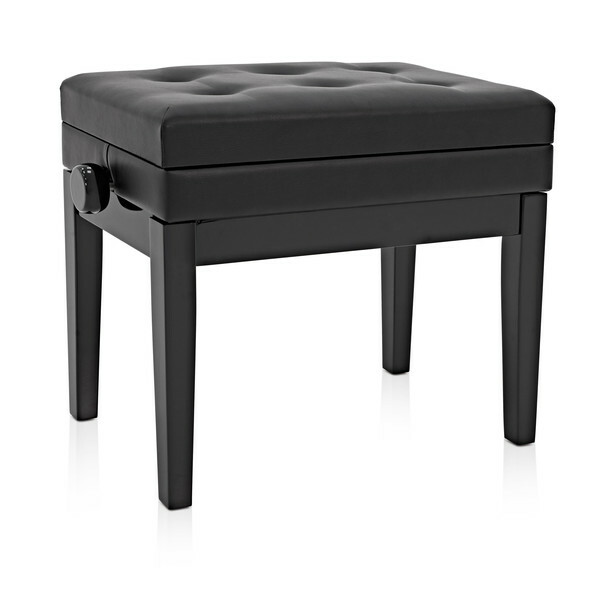 Keep your things neat, tidy and safe with this handy stool that is ideally matched to any piano or keyboard. With an adjustable height between 470mm and 533mm the piano stool can be used by people of all ages for comfortable positioning, allowing your playing to be the best it can. 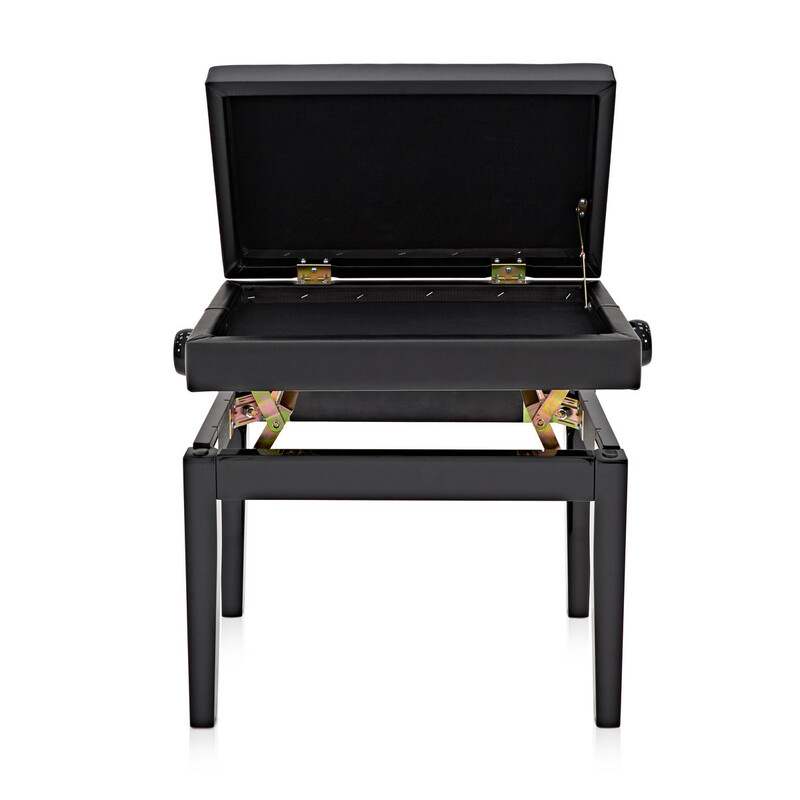 The high-quality gloss black finish gives the stool a traditional look fitting for any piano or keyboard.